Well here we are again… another February 24th. On this day in 2006 my wife and I sat in the office of an oncologist we had just met as we tried to wrap our heads around the diagnosis he had given me: chronic lymphocytic leukemia. This is the one date that is imprinted on my brain more so than any other disease related date. More than my remission dates. More than my relapse dates. My initial diagnosis date of February 24th, 2006 will never be forgotten. But I’m not here to dwell on anything negative and I’ll be brief. I bring this up simply to acknowledge its relevance in our lives and to stand tall knowing that I continue to fight the good fight and I continue to win. 11 years of living with a chronic cancer has taught me a lot. It’s taught me a lot about myself, about disease and drugs. It’s taught me a lot of about life and how it is in a constant state of change and movement. Nothing ever sits still. It ebbs and flows. You’re on top of the world one minute and then you may bottom out the next. It stinks, and then it’s awesome again. A giant pendulum constantly swings back and forth and brings us all along for the ride. Understanding and accepting that as a universal truth is ¾ of the battle. The ability to savor the highs and buckle up for the lows is the key to a peaceful existence. But I’ve also learned that with the right perspective and mindset you usually end up on top. And if lived with an open heart and an open mind, this life is pretty stinking unconditionally awesome – without question. I never rolled over with this disease. I figured out ways that I could make this disease work for me and not against me. And while it is a “disease” and it is a vicious adversary, I think I’ve done a pretty good job of finding silver linings and making it count for something. I think I’ve found ways and reasons to turn my relationship with the adversary into something positive. To everyone who has touched my heart along the way of this journey, thank you. To all of the caregivers and professionals who have cared for anyone in this community, thank you. To the warriors who are no longer with us, you didn’t “lose” this fight. You made an indelible mark in this word and dealt blows against the disease. The world may have lost you but you didn’t lose the fight. We’ll carry the torch and forge on with you, for you, and because of you and you will forever be with all of us. Happy 2/24. Life is good. 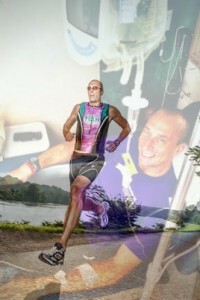 This entry was posted in cancer, health & fitness, motivation, survivor and tagged chronic lymphocytic leukemia, cll, Lls, team in training, tnt. Bookmark the permalink. Both comments and trackbacks are currently closed.